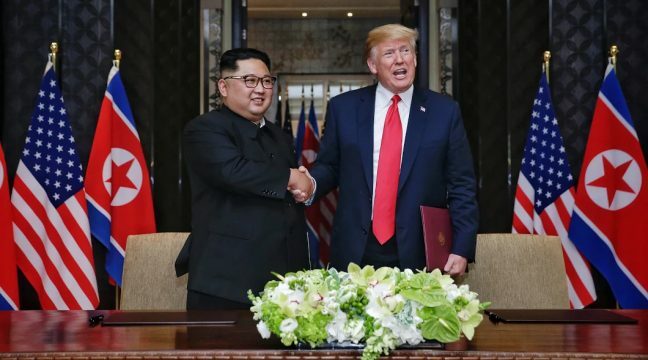 On Tuesday, June 12, U.S. President Donald Trump and North Korean leader Kim Jong Un signed a joint declaration to conclude their much-anticipated summit in Singapore. 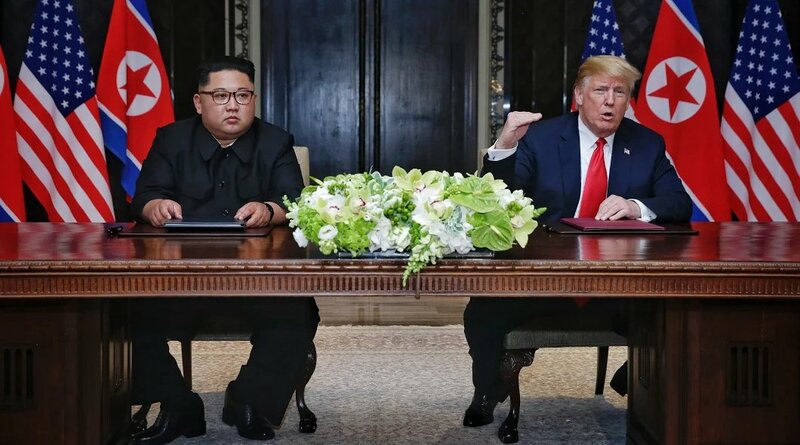 The declaration – in broad terms – reaffirms Pyongyang’s commitment to the denuclearization of the Korean peninsula and commits Washington to security guarantees in return. The statement commits both sides to negotiations led by U.S. Secretary of State Mike Pompeo and “the relevant high-level DPRK official” at “the earliest possible date” to work on implementing the outcomes of Tuesday’s agreement. 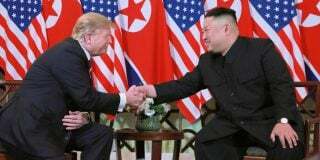 Kim and Trump have also agreed to work together on the recovery of remains of soldiers from both sides who died in the Korean War. “The United States and the DPRK commit to recovering POW/MIA remains including the immediate repatriation of those already identified,” it reads. To make sense of what the statement means for the future, NK News spoke to five DPRK-focused specialists to get their opinions on the declaration itself and the potential impacts of the summit. Andrea Berger, Senior Research Associate and a Senior Program Manager at the James Martin Center for Nonproliferation Studies. Mintaro Oba, former Korea Desk Officer at the U.S. Department of State. 1. What’s your assessment of the joint declaration overall? Andrea Berger: The joint document is light on details and heavy on recycled content, and is therefore unlikely to in itself meaningfully advance the discussion. On the other hand, the Singapore meeting as a whole could create momentum towards further bilateral or multilateral negotiations that eventually yield fruit. Those negotiators will have the difficult task of working under the weight of enormous public expectations created by the President, who seems convinced that a fundamental transformation of North Korean policy is possible and imminent. Disappointment as a result of mismanaged expectations remains a real possibility, and it could still cause this process to collapse. 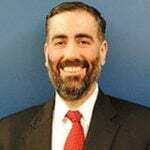 Anthony Ruggiero: The U.S.-North Korea summit declaration is similar to the 2005 Joint Statement where North Korea commits to denuclearization and the U.S. provides security assurances. The next stage of negotiations will be crucial as North Korea will need to take a concrete, irreversible step toward denuclearization, which would confirm that Kim Jong Un has made a strategic decision to denuclearize. The Trump administration should not allow North Korea to extend these negotiations, which is a tactic they have used to great success in prior negotiations. The declaration did not compromise on the maximum pressure campaign, which the Trump administration should continue until North Korea denuclearizes. 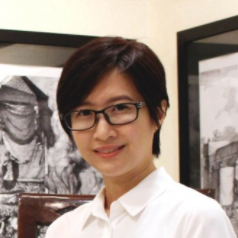 Hoo Chiew Ping: I don’t think that it is “comprehensive” or substantive. Except the fact that two sitting leaders of U.S. and DPRK finally met in person, no “new” U.S.-DPRK relations as well. It is also drafted with the minimum requirement for positive tone of a joint declaration, no mention of a potential peace treaty, and recovering POW/MIA remains of U.S. war veterans is a continuation of abandoned efforts of George H W Bush-Kim Il Sung halted by the first nuclear crisis in the 1990s. Overall, this is a very vague agreement with little specifications to achieve the said goals, unlike in the inter-Korean joint declaration that mentions ceasing of military activities and establishing new economic cooperation along the DMZ. For instance, we looked forward to the outcome of reaching an understanding on what denuclearization mean and what kind of security guarantee that the U.S. is willing to provide, but those keywords and key contents are not found in the declaration. John Nilsson-Wright: Long on style, short on substance. A good first step, but disturbingly free of specifics. I would have expected at least a reference to CVID and some sort of timetable for action. Mintaro Oba: I would give this a C+. It avoided the two key things I would consider failures: escalating tensions and making major premature concessions. The plus is because there are some hints of translating the momentum from this summit into more concrete and sustainable initiatives, especially through the follow-on negotiations led by Secretary Pompeo. If it becomes clear those negotiations are serious and could turn into a longer-term diplomatic process, or if we later learn about constructive commitments that were made outside of the joint declaration, then I’d consider revising the grade upward. Stephan Haggard: The so-called Singapore Declaration is a surprisingly vague and weak outcome. It’s import is weakened further by Trump’s continual reference to the value of personal chemistry and the surprising statements about joint exercises. There is no effective framework of actions or next steps, and no new commitments; the claim by President Trump that the North Koreans agreed to blow up an engine test stand does appear to be a tangible result of prior negotiations, but is an easily reversible step given the country’s technical capabilities. The only positive spin to put on this is that the process has at least begun. But if that is the case, we wasted the summit in feel-good pageantry when it could have been devoted to exploiting the presence of the two leaders to break logjams and reach more concrete commitments. 2. Does this initial agreement give you confidence that we will see long term changes? Andrea Berger: I have little confidence that we will see significant change on any front, but I have some hope that we can make progress in getting North Korea to restrain its nuclear and missile programs and the rhetoric that surrounds them. That hope does not derive from this agreement. Rather, it stems from the potential for more regular engagement between parties to the issue, and the interests they appear to have in promoting an engagement-oriented approach. Pyongyang, for example, is trying to foster its image as a responsible international stakeholder, and is drip-feeding the United States signs of military restraint. The longer that continues, and the longer the U.S. remains a consumer, the greater the potential for a ‘new normal’ to emerge. Anthony Ruggiero: The next stage of the negotiations will determine if this is merely a repeat of past mistakes where the U.S. gives up too much for little to nothing in return from North Korea. The Trump administration is looking for concrete actions in the next phase; if North Korea does not deliver it should end the diplomatic process. Hoo Chiew Ping: I don’t see any significant change from the initial agreement, not more significant than Kim Jong Un’s night tour in Singapore that is being reported immediately in Rodong Sinmun, which signifies a more puzzling change in the kind of message that Kim Jong Un wants to present to his domestic audience. Well, the Singapore Summit does present the ordinary North Koreans a glorified young leader that could deal their main adversary on equal footing with full autonomy. Thus, the significance could be on the national or societal level, rather than on the security status quo. Trump during the press conference exuded absolute confidence and trust in Kim Jong Un to carry out the promises. 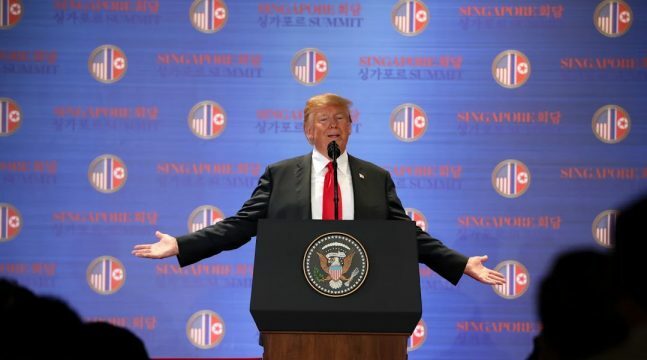 Human rights issues are sidelined, though Trump replied that the issues were brought up in “pretty good language”, and expressed that Kim Jong Un’s regime will bring change to the human rights issues after the U.S. made a deal with them. Most significant to regional security would be the ceasing of military exercises with ROK, cited as provocative to North Korea and wasted a lot of money, and that he wanted to bring the troops home, as part of his political campaign promise as well. John Nilsson-Wright: Not a great deal. I can’t believe the U.S. side wouldn’t at least have pushed for the above. That the North Koreans did not agree to this is a clear indication of how far apart both sides still are. Mintaro Oba: This agreement tells me that U.S.-North Korea ties will likely remain stable, and tensions will remain manageable, in the months ahead. But mostly, it reaffirms existing positions. So, it certainly doesn’t give me a reason to believe we will see long-term changes, but perhaps that will change depending on how serious the upcoming negotiations between Secretary Pompeo and his counterpart are. Stephan Haggard: It is simply impossible to say whether this will generate or stall momentum. Clearly the US will seek to follow up, and the team is certainly in place to negotiate a more serious agreement; I disagree with those who claim the US doesn’t have the personnel or capacity to do this. But progress depends on leadership. Nothing that is currently in the public domain suggests how far along we actually are beyond positive statements on the part of the administration itself. 3. What is the significance of the inclusion and joint endorsement of the Panmunjom Declaration in the statement? Andrea Berger: The reference to the North-South agreement encourages greater connectivity between these diplomatic processes, and is sensible given the nature of the issue. Whether the nod to the Panmunjom Declaration will actually encourage such coordination in practice, however, remains to be seen. Reports suggest that other points announced in the course of Trump’s press conference, particularly the decision to cancel joint military exercises, may not have been agreed to in concert with South Korea. 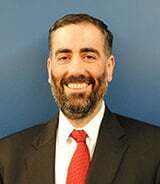 Anthony Ruggiero: The reaffirmation of the Panmunjom Declaration came in the bullet point on denuclearization, likely reinforcing North Korea’s view that complete denuclearization is linked to a nuclear-free Korean peninsula. Hoo Chiew Ping: No surprise in reaffirming of the Panmunjom Declaration as President Moon of the ROK is the architect of this series of Summit diplomacy. It’s good to see both U.S. and North Korea acknowledge ROK’s role in making the U.S.-DPRK Summit work. The press conference also reaffirms and appreciates Moon’s role, including that the final negotiation of denuclearization and peace treaty will definitely include South Korea. John Nilsson-Wright: At one level, to reaffirm the success of the earlier summit; also to give agency to the ROK; but also its simple repetition is a minimal base line, but the failure to add anything new is a glaring short coming. Mintaro Oba: It’s certainly a nod to Seoul’s strong interest in maintaining the inter-Korean rapprochement process, and it suggests the North Koreans are serious for now about continuing that process, too, in tandem with whatever U.S.-North Korea talks emerge. 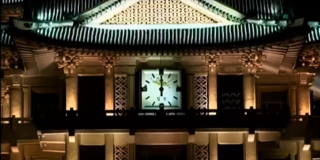 And since the Panmunjom Declaration contains a range of specific events and dialogues through the summer and fall to follow up on the inter-Korean summit, while the U.S.-North Korea statement has nothing specific scheduled, it will mean inter-Korean events will continue to dominate the calendar and define the atmosphere for the time being. Stephan Haggard: This is an extremely important feature of the statement, and one that does not bode well for how far along we are. First, there is only a single sentence in the declaration on denuclearization, and it raises at least three issues. First, by putting the US-North Korea relationship in the context of the Panmunjon Declaration, the US appears to endorse a highly aspirational document. The North-South is centered largely on the peace process and bilateral negotiations North-South, not on denuclearization per se. Second, the document only commits North Korea to “work towards” denuclearization; the document does not restate the long-standing goal of complete, verifiable, irreversible, denuclearization. And finally, the document endorses the long-standing North Korean conception of denuclearization as “denuclearization of the Korean peninsula,” a purposefully vague formulation that includes a whole host of possible assurances, up to and including a withdrawal of American troops from the peninsula and even a renunciation of the US extended nuclear deterrent. 4. There is a commitment to continue to meet. What will the next stages involve? Andrea Berger: It sounds like there are plans for fairly swift follow-up meetings led by senior U.S. officials including the Secretary of State, in order to discuss and hopefully agree details absent from the joint statement. In contrast to the Panmunjom Declaration, however, no timeline was outlined on paper. This lack of a clear, mutually agreed timeline raises further concerns about the resilience of the current dialogue process. 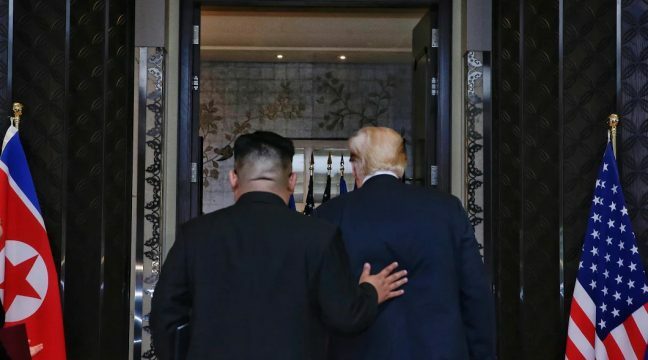 Anthony Ruggiero: The next stages should confirm that this process is different from prior failed negotiations where the U.S. accepted North Korean promises without concrete results. North Korea should provide a full and complete nuclear declaration to prove it is committed to taking tangible steps toward denuclearization. Hoo Chiew Ping: I think the substantive works will be dealt with in the next follow-up meeting, which will be led by Secretary Pompeo and a still unnamed “relevant high-level DPRK official” to work out the differences over the concrete steps of denuclearization. What is revealed in the press conference has no follow-up details, but missile program is being treated as interchangeable with the nuclear weapons program. No mention of a potential visit by U.S. or International inspection team until a reporter brought it up, of which Trump said both the U.S. and international agency will be involved. 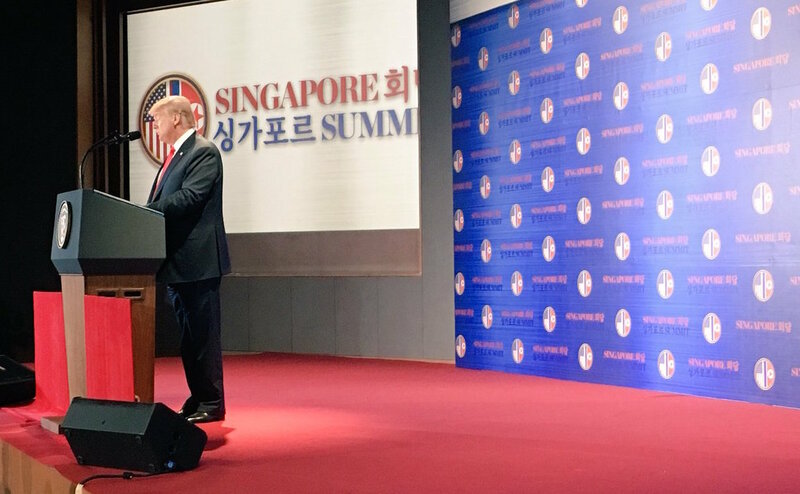 In regards to the cost of denuclearization, Trump has revealed that ROK and Japan will bear the most, while the U.S. has been “paying big prices in other areas”. John Nilsson-Wright: Well the commitment is good, but we should at least have had a timetable. Pompeo and company will need to do their best to secure this, but I’m not confident that things will move as quickly as Trump expects or wants. Mintaro Oba: I doubt even the U.S. and North Korean governments know for sure what will come next. The North Koreans have not even designated the counterpart who will be meeting with Secretary Pompeo. So I wouldn’t speculate on this, except to say that I hope it will involve institutionalizing a sustained, bilateral, and high-level process of engagement between the United States and North Korea. That will do a lot to reduce tensions on the peninsula and allow the United States to focus some of its time and resources on other challenges in the region, like the South China Sea. Stephan Haggard: On the positive side, the summit does implicitly commit the two sides to a continuation of talks. These were only just begun in the months leading up to the summit. We don’t know exactly how many meetings were held between those in Pyongyang, Panmunjon, Singapore and through the New York channel, but it was clearly a limited number. If the process moves forward, we can evaluate progress on the basis of a more standard framework agreement that outlines some basic principles, ideally with a timeline. But we currently have virtually nothing to go on. 5. What does this agreement mean for Washington’s current maximum pressure and engagement strategy? Andrea Berger: Some aspects of the maximum pressure campaign will change, but others are unlikely to. For example, during 2017, the Office of Foreign Assets control published new North Korea designations almost every month. It was like clockwork. In the last few months there have been none, and I would expect that silence to continue while there is hope in U.S.-North Korea talks. On the other hand, U.S. officials are likely to continue to actively push for greater implementation of existing UN sanctions with their foreign counterparts. The likely narrative they will deploy is the same used by the President in his press conference: maximum pressure helped get us to the table, and it needs to continue until the U.S. determines that the nuclear issue has been resolved. All eyes will be on China, which the President has accused of recently easing up on sanctions implementation. For the moment, Beijing still seems to be implementing some measures, while allowing other forms of prohibited activity to slide. Anthony Ruggiero: The maximum pressure campaign is in trouble with China already declaring that sanctions relief should be on the table, after North Korea merely made additional promises. The Trump administration should reinforce the maximum pressure campaign with private actions that could blunt North Korea’s ability to continue proliferation activities and sanctions busting. Hoo Chiew Ping: Technically, maximum pressure will still be in place. As Trump clarified in the, sanctions will be in place until denuclearization is completed, and that he will not wave the sanctions without significant improvements. 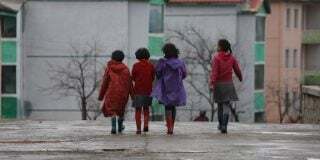 Therefore, the next stage of negotiation would be crucial to test whether the DPRK side is sincere in their commitments and that can be verified by indicators like the difficulty in negotiations and the speed of implementation in dismantling the program. 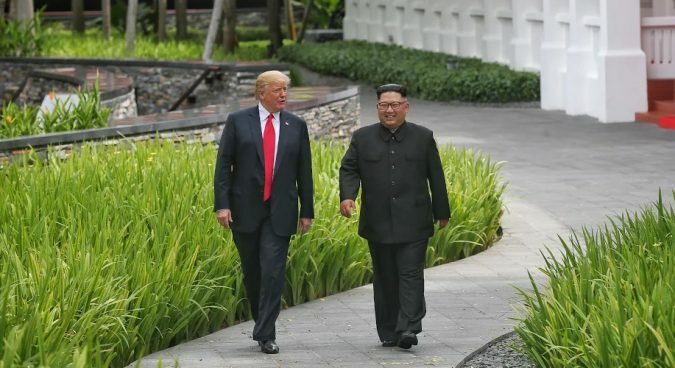 Trump also said that he will invite Kim Jong Un to the White House, though another meeting is needed (which may take another 3 to 4 months) and he doesn’t want to “build up too much hope”. Engagement will also be continued, given the fact that North Korea won’t walk away from the agreement. 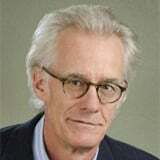 John Nilsson-Wright: Maximum pressure was already an overstatement and the pressure had already been diluted; this will continue, whatever Trump may have said about maintaining sanctions. Engagement can hopefully expand, but a clear unknown in all of this are the intentions of the North Korean side. Everything to play for but this was more of an effort to embrace deliberate ambiguity to keep Trump’s and Kim’s domestic constituencies onside. Mintaro Oba: It will be hard to secure international consensus to get new sanctions, or even enforce existing ones, if there is a general belief that North Korea is acting in good faith and that there is an ongoing diplomatic process. While Washington will continue to pay lip service to maintaining sanctions, I imagine this will receive less emphasis from the United States as long as Washington sees engagement with North Korea as constructive. Stephan Haggard: This is of course the central concern. Signals coming from the Trump administration have been highly ambiguous in this regard. A week ago, Trump appeared to publicly disavow the maximum pressure campaign. At the summit, he tried to put sanctions back on the table and assure the allies and others that the pressure regime would continue. 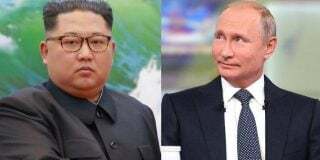 But if Kim Jong Un is now portrayed as reasonable and engaged in a process, he could well get sanctions relief not only from China but perhaps from South Korea as well; indeed, this was the very purpose of the four bilateral summits held between Kim Jong Un and Xi Jinping and Moon Jae In. A loosening sanctions regime doesn’t altogether preclude a denuclearization process but it fundamentally alters the dynamics, shifting bargaining power back toward Kim Jong Un and giving him much-needed breathing room. Hamish Macdonald and Leo Byrne are NK News and NK Pro contributors based in London and Bogota. Five years since the COI, what progress on North Korean human rights?